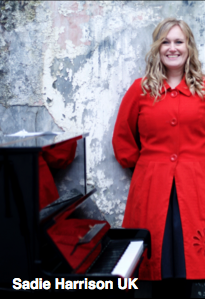 Sadie Harrison is an internationally renowned composer and lecturer whose work is enriched particularly by the traditional cultures of Afghanistan, Lithuania and the Northern Caucasus. This lecture will consider how music creates, expresses and controls the identity of women in Afghanistan, looking at female musicians from the 1970s before the Communist invasion until the present day as girls and women assert their musical rights and their womanhood despite the most extreme constraints. Recorded musical examples will include traditional songs and dances performed by celebrated Afghan women alongside Sadieʼs music written in 2015 especially for girls at the Afghanistan National Institute of Music and for US Ensemble Cuatro Puntos.